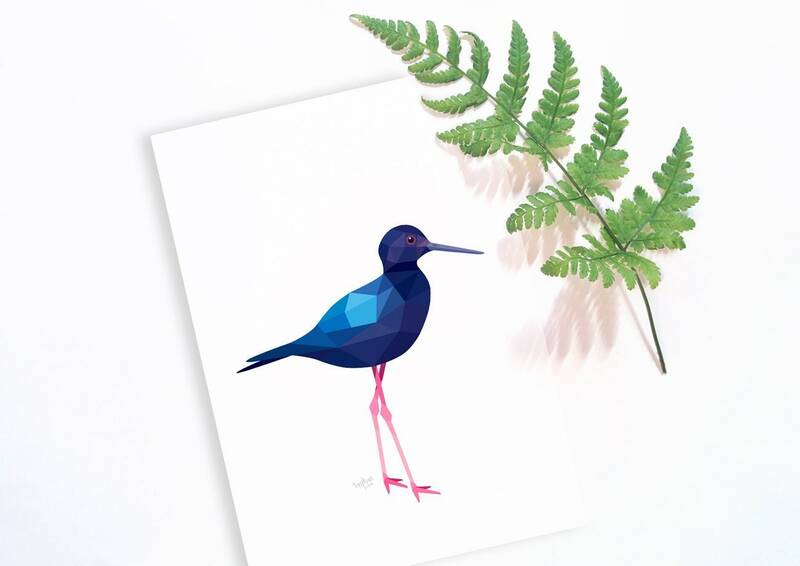 A geometric style print of a New Zealand kaki. 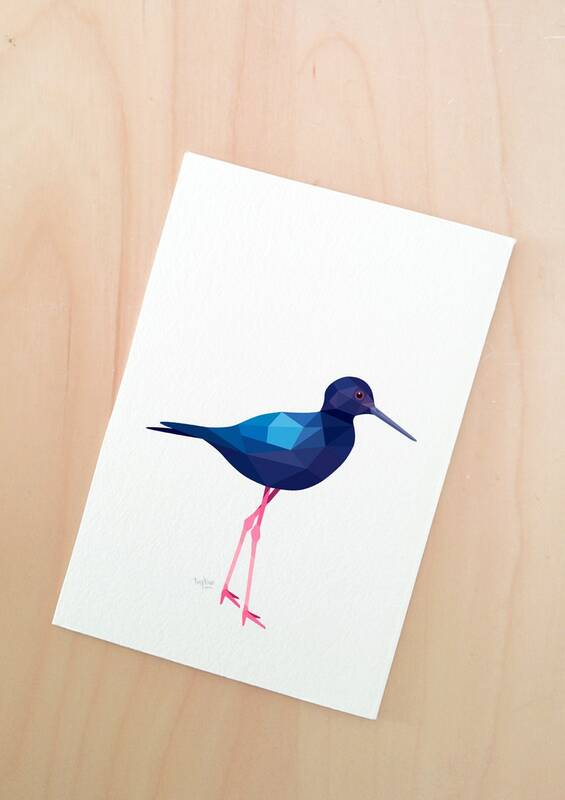 These birds are very endangered with only 132 left. They are at home next to riverbeds, streams and swamps. Within hours of being hatched babies can hunt for food and swim! - Printed on high quality fine art paper. - Paper has a lightly textured surface. - Weight is 310gsm. (Similar thickness to a postcard). - Printed with pigment inks for vibrant long lasting colours. 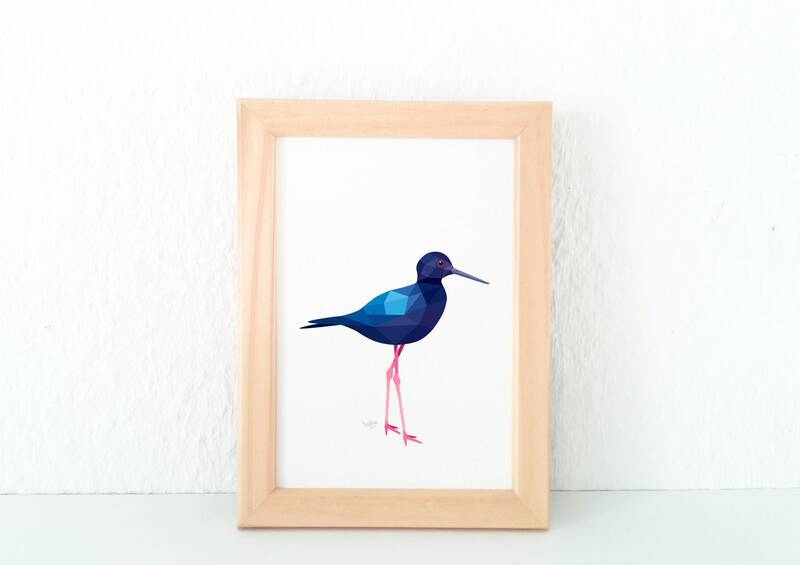 - Each print is signed on the front, and on the back is written the name of the animal. - Format is portrait (or landscape by request). We carefully wrap our prints between tissue paper and place between strong card and in a waterproof envelope for shipping. Large prints A2) are placed in strong tubes.